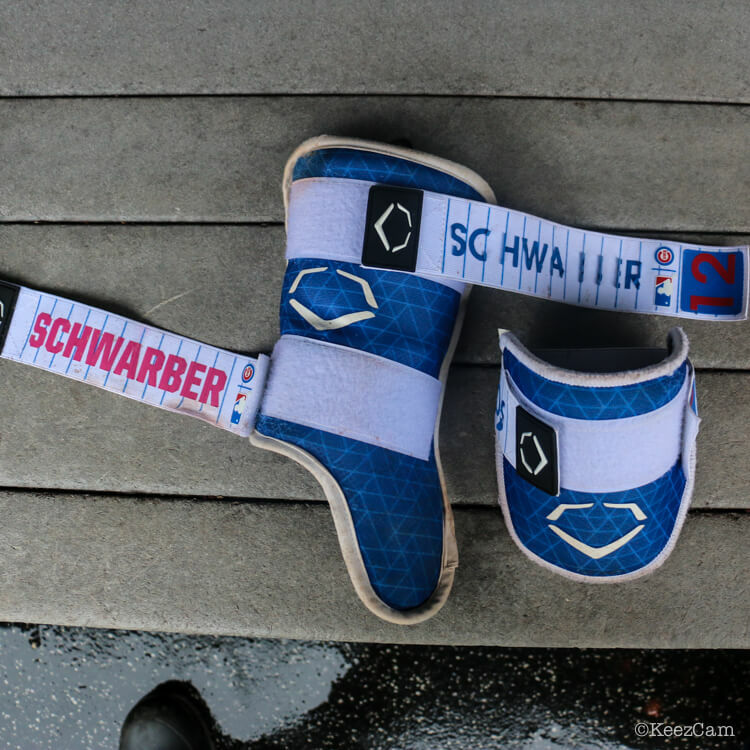 Schwarber wears Evoshield’s Evocharge style in both the elbow and leg guards, a style that is available at the link. 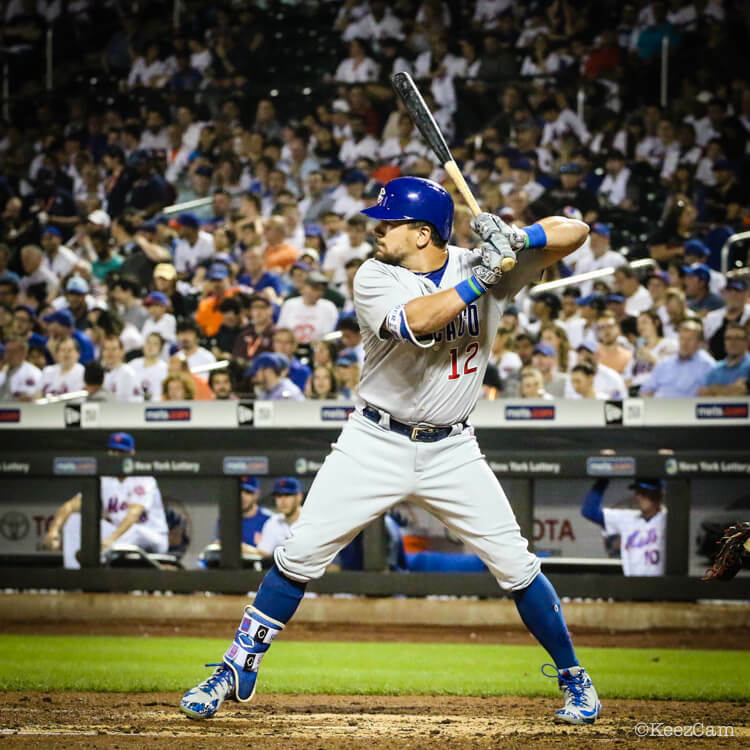 Can a dude get a new strap though? 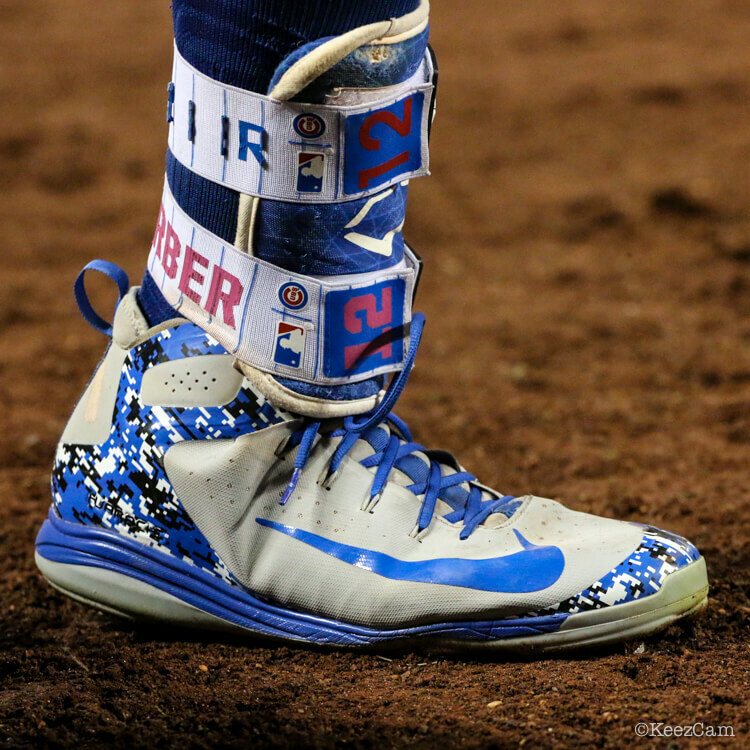 Categories: Kyle Schwarber, Gear, Outfield, Leg Guard, Elbow Guard, Chicago Cubs, Catcher.